Wondering if CORE Linepipe® is a fit for your service? 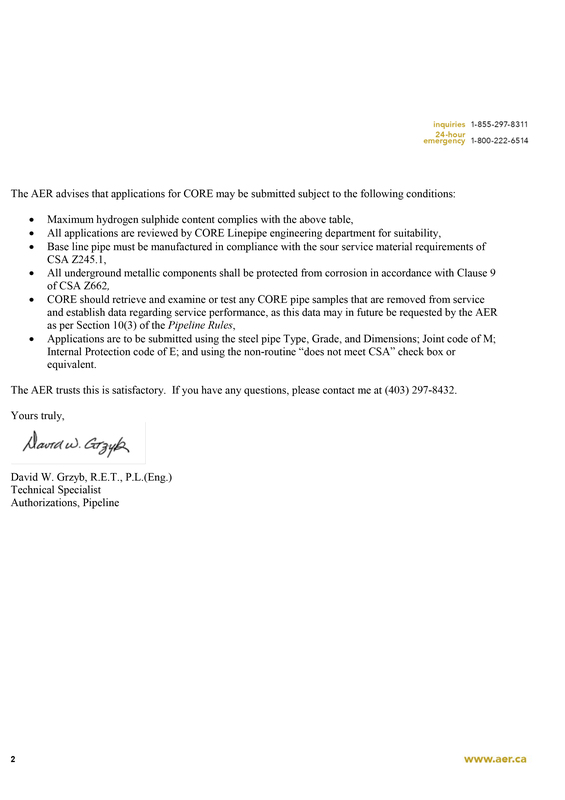 Please fill out our Engineering Application Review and submit to the CORE Linepipe® sales team. CORE Liner® is approved by the Alberta Energy Regulator and the BC Oil and Gas Commission. CORE Liner® pipelines are currently in operation in Alberta and British Columbia. CORE Liner® is also used for flowlines across Saskatchewan. 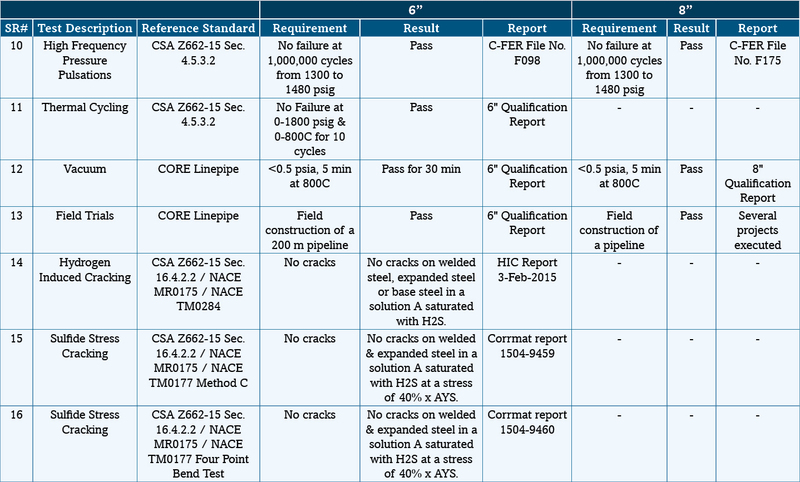 Please contact a CORE Sales Representative for further details on pipeline licensing. 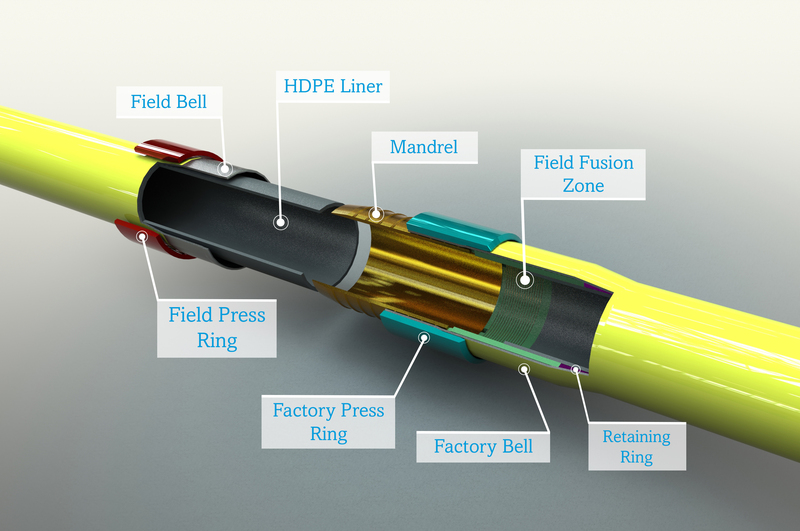 ClickWeld® is the innovative proprietary mechanical joining system of CORE Linepipe®. The system uses a combination of carbon steel materials to form a gas and liquid tight connection that eliminates the need for welding. First, an external upset on the pipe is created using a cold-working process. 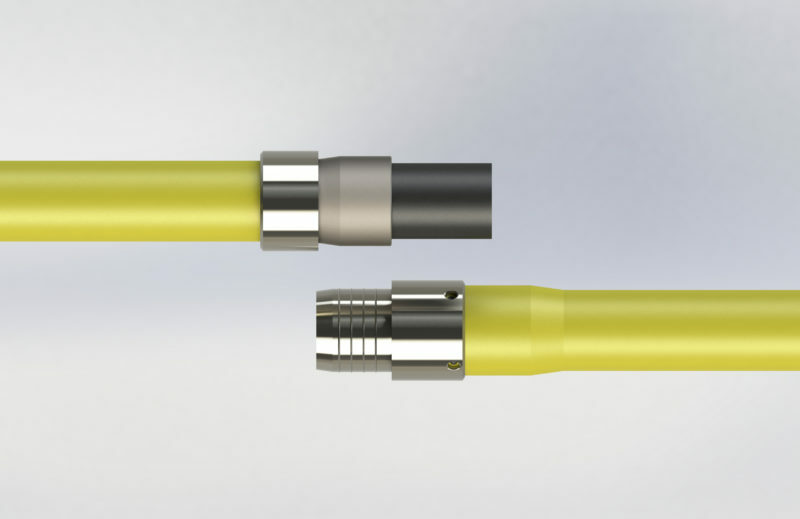 The external upset allows the parts of the ClickWeld® to be external to the polyethylene liner, meaning there is no restriction at each connection. Next, a mandrel made from higher grade of steel is inserted inside the upset and a ring, of the same material, is pulled over the upset, compressing and plastically deforming the steel of the pipe onto the mandrel. In the field, the opposite end of the pipe is pressed into the open end of the connection and a second ring is pulled over the mandrel, again compressing the steel and forming the complete connection. In all of our qualification testing, the mechanical ClickWeld® joint has proven to be the strongest part of the pipeline and has never failed a destructive test, meaning you can rest easy using CORE Linepipe®. Electrofusion (EF) couplers have been common practice for over 70 years and offer a simple and dependable means of joining plastic pipe. CORE Linepipe® has worked with industry experts to procure the highest quality fittings and to establish a controlled fusion process based on industry best-practices. CORE Liner® Dual-Zone EF’s have a copper conductor ploughed into the fitting and is operated by an electrofusion control unit (ECU). The ECU then supplies the electrical energy necessary to heat the copper conductor. When the copper conductor is energised, the polyethylene of the EF melts and forms an expanding pool which comes into contact with the surface of the pipe. The sustained introduction of heat energy causes the liner surface to melt and a mixing of liner melt and EF melt takes place. Following the termination of the fusion cycle, the fitting and the pipe are left to cool and the melted material solidifies to form a joint stronger than the parent pipe. CORE Liner® is a pipe-in-pipe system that utilizes an outer steel pipe for structural strength and an inner polymer liner pipe for corrosion resistance. The outer steel pipe is joined using the proprietary ClickWeld® joining system, eliminating steel welding in the field. The inner polymer liner is joined using electrofusion fittings. CORE Liner® combines the strength of carbon steel and the corrosion resistance of polymers. Similar to other piping systems, CORE Liner® should be operated in accordance with the requirements of CSA Z662 and the applicable regulations. After the pipeline has been hydrotested and commissioned, the routine start-up procedure of a CORE Liner® system should include a controlled and gradual flow increase to allow the pipeline to gradually adjust to the temperature and pressure of the operating fluid. It is recommended to have the pipeline vents open during the pipeline pressurization. The aim is to allow the gas that is present in the annular space to vent out, and to check that the liner is leak tight, i.e. no bore liquids are able to reach the annular space. Gas molecules have a natural ability to very slowly move through piping materials. This is called gas permeation. Gas permeation occurs through polymer materials at a higher rate than through metallic materials. In the case of lined steel products, the permeated gas can gather in the annular space of the pipeline and increase the pressure of the annular space. 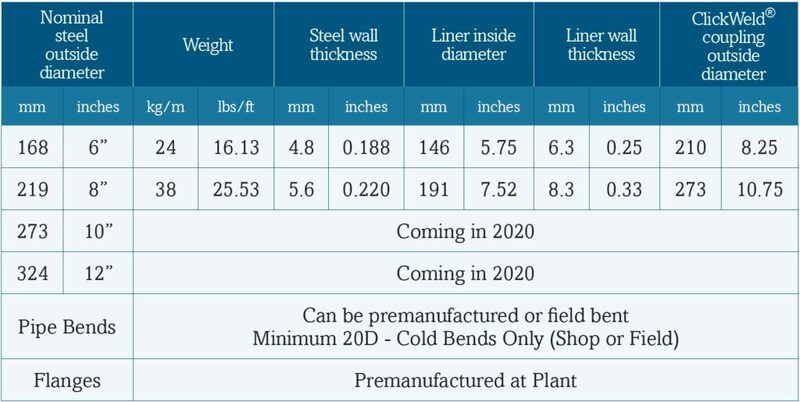 As described in CSA Z662 clause 13.2.8.1, and similar to other lined pipelines, it is essential that the pressure in the annular space of CORE Liner® is kept lower than the bore pressure of the pipeline. This is achieved by routinely venting the annular space of the pipeline via the vents provided at the CORE Liner® flanged connections. The vents should be kept open until the venting almost stops. 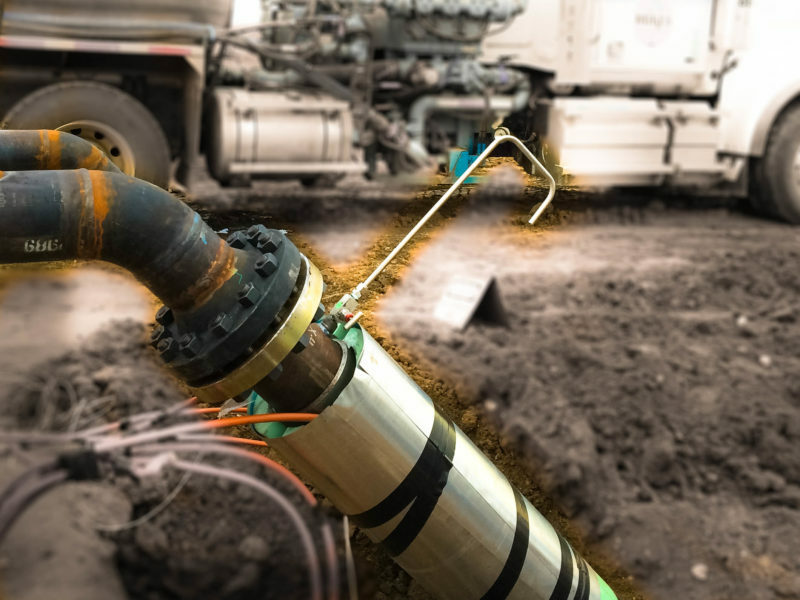 For pipelines in multiphase or gas service, and depending on the pipeline operating parameters and distance between vents, adequately venting the annular space may take up to a few hours. 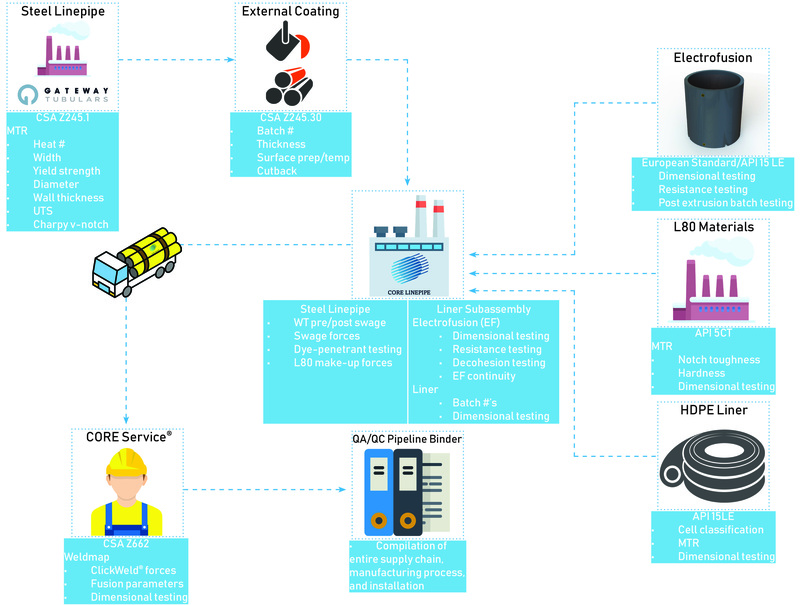 Consult CORE Linepipe Inc. for project specific guidance. The venting frequency should be determined by the operating company based on the specific operating parameters of each pipeline. CORE Linepipe Inc. recommends starting with a venting frequency of once a week. If minimal amounts of gas are being vented, the venting interval can be extended gradually by a week every time. CORE Linepipe Inc. recommends venting the pipeline system at least once every month. It is required to vent pipelines containing a gas phase in the bore and subject to operating pressure fluctuations as frequently as practical to keep the annular pressure as low as possible. The annular space of CORE Liner® should be completely vented prior to fully depressurizing the pipeline bore. It is recommended to depressurize pipelines containing a gas phase slowly and in steps to allow the gas that permeated the liner to vent out of the annular space. Fully depressurizing the bore while the annular space is still under pressure may result in liner buckling and possibly collapse. CORE Liner® is generally able to resist full vacuum. Nevertheless, to prevent liner collapse, the pipeline vents should not be opened while the liner is under vacuum conditions. In addition, in services where vacuum is expected to last for more than one hour per occurrence, countermeasures such as vacuum breakers are recommended as an additional level of protection. CORE Liner® may be pigged using medium-density foam pigs or custom made polyurethane disk pigs. Typically, medium-density foam pigs are used for dewatering, while polyurethane disk pigs are used for removing wax buildup. Steel wire brush pigs should not be used with CORE Liner® as they may scrape and damage the polymer liner. The pipeline should be pigged frequent enough to prevent any substantial buildup from occurring. Pigging a pipeline containing a substantial buildup or blockage may result in pipeline damage or in the pig getting stuck. It is recommended to vent the system immediately before and after the pigging to confirm that the liner is leak tight, i.e. no bore fluids are coming out of vents. It is recommended to vent the system immediately before and after the hot oiling to confirm that the liner is leak tight, i.e. no bore fluids are coming out of vents. The internal HDPE layer of CORE Liner® is resistant to alcohols. Methanol and ethanol can be used with CORE Liner® both in continuous dosing or as batch treatment. If continuous alcohol dosing is used, adequate countermeasures should be in place to mitigate the effects of the potential presence of oxygen in the alcohol being injected. 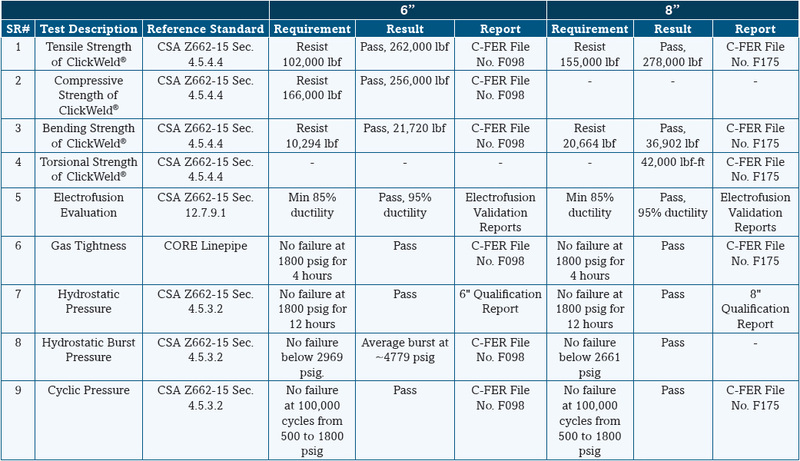 CORE Linepipe® has an industry-leading quality assurance and quality control program. Each part of our system adheres to internationally recognized standards and are manufactured using the principles of 6-sigma quality control. Our robust program allows for complete traceability from factory to field, with a project binder given to our customers after each project. We focus on quality, so you can focus on everything else. The engineering of safety and quality into process, product and equipment designs. Critical assessment of hazards and work procedures to ensure safe and efficient operation by production and field personnel. Documentation of processes, inspections, incidents and daily toolboxes for monitoring & measurement, and compliance. 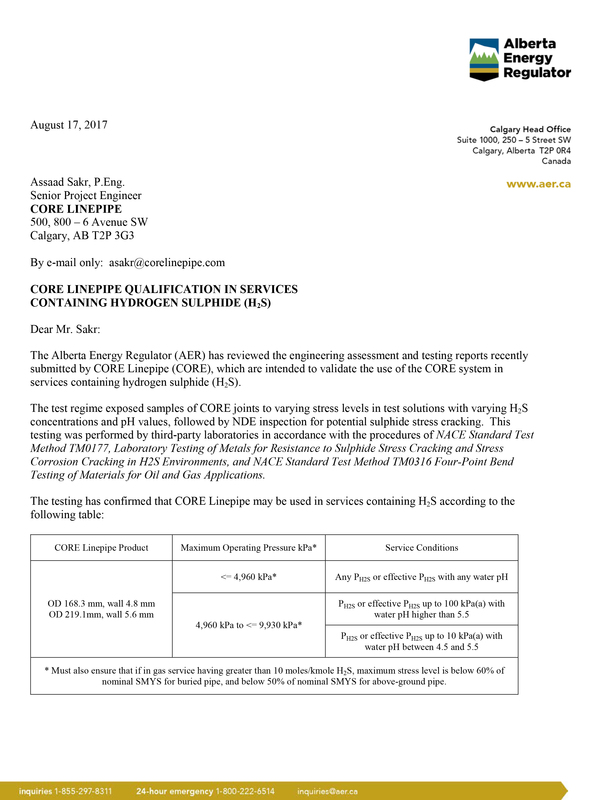 CORE Linepipe® has successfully worked through Manufacturer’s Health & Safety Association to obtain our COR (Certificate of Recognition) with a 2017 audit score of 96%. In March of 2018, CORE Linepipe® launched a safety campaign to increase engagement and improve safety culture. 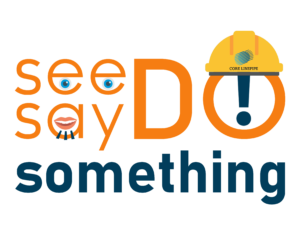 The “See Something Say Something Do Something” campaign is working to alter behavior and transition CORE Linepipe® to a pro-active, operations-owned safety culture. Call us now, we're here to help!